Downloads are down. Right along with CD sales. But spending on live music is up with nearly 70% growth in the past four years. Changing industry dynamics mean getting fans to a live show is more important than ever; people that buy concert tickets spend 20x as much on music than non-ticket buyers. While concert-goers still rely on radio to find new artists, discovery today is a mix that includes streaming, social and live. 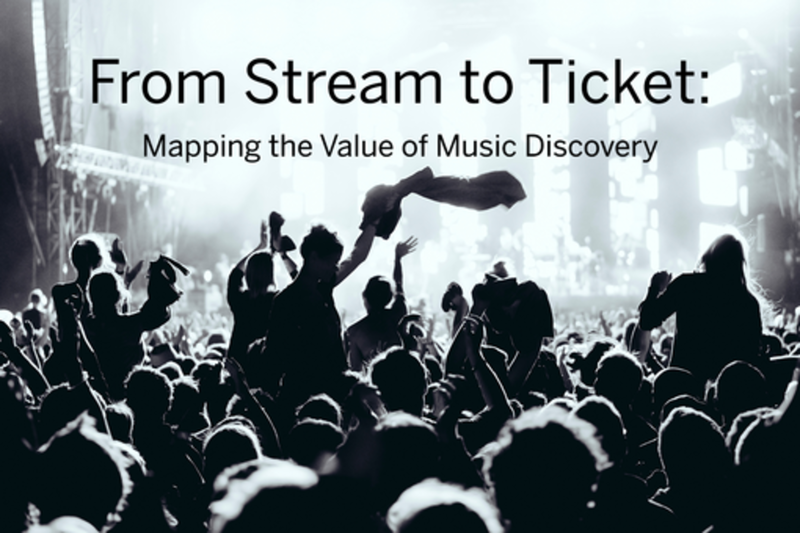 Explore new data that links discovery to ticket purchases and hear key industry players on how everyone from artists and labels to promoters and talent buyers can capitalize on these trends. Charlie Hellman is VP of Product at Spotify, heading Creator Product. Since founding Spotify's NYC product team in 2011, he has built and led numerous strategic areas for Spotify including recommendation and personalization, social features, ad products, and freemium product tiering. As head of Creator Product, today Charlie focuses on building services to help artists grow, engage, and monetize their fanbases on Spotify and beyond. Prior to Spotify, Charlie led music products at Lime Wire and worked in Digital Business Development at EMI Music. Charlie earned his B.A. in Communication at the University of Pennsylvania. As Executive Vice President of Programming, Chris oversees all talent booking and music programming on behalf of Superfly’s festival properties. Additionally, Chris leads development of value driven partnerships between brands and influencers for strategic entertainment based initiatives. Prior to joining Superfly, Chris spent over a decade working with musicians and artists as an artist manager at Red Light Management and from the label side at Universal Records. Rob Bonstein is an executive at The Windish Agency, where he is responsible for digital initiatives, marketing, operations, and business development. Previously, Rob held a leadership position at music management firm The Creed Company (Bruno Mars, Mark Ronson, Hunter Hunted) involving client and corporate digital strategy, tour marketing, and finance. Prior to that, he worked for 7 years at record labels with roles encompassing radio promotion, finance, and marketing, ultimately heading Epic Records' digital marketing team. An active participant in the dialogue about the future of the music industry, Rob is a previous panelist at SXSW as well as at Digital Music Forum West, Social Media Week NY, ASCAP Expo, GRAMMY Camp, Music Biz / NARM, and Los Angeles Lean Startup Circle. At Eventbrite, Shana employs insight-driven marketing strategy to bring major music festivals, venues, and promoters onto the largest independent ticketing platform in the world to help them sell more tickets and pinpoint their core audiences. Previously at Rdio, Shana drove rapid growth and engagement of the streaming music service through impactful brand and product marketing campaigns and performance-driven global partnerships with Live Nation, Shazam, and Cumulus Media.